How to Sell your Lexus in Sydney? Are you questioning ‘Selling Used Lexus for Cash in Sydney?’ or ‘how much my Lexus worth?’ If so, then NSW Car Buyer are here to help. Selling Used Lexus for Cash in Sydney – NSW CAR BUYER tailored Lexus valuation and no obligation cash offers for customers wanting to “sell my Lexus” to specialist Lexus buyers New South Wales wide. Looking for quick and professional way to Selling Used Lexus for Cash in Sydney? Our Sydney car buyers have a quick and easy solution to sell Lexus vehicle. One simple online form to fill in is all it takes to find the best cash offers to sell my Lexus from our nearest branch. 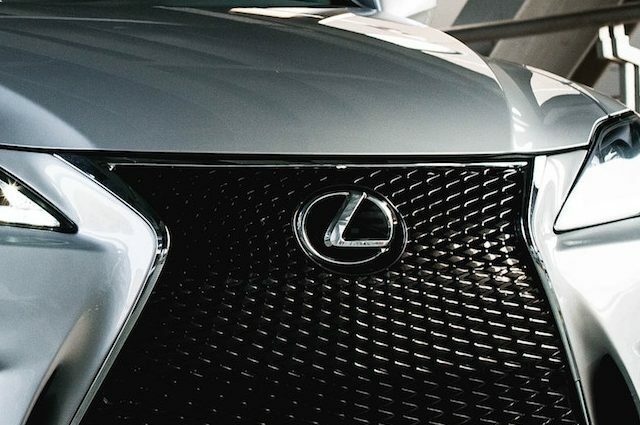 Our Sydney cash for cars team are always on the lookout for Lexus cars and SUVs that have been well looked after and are on hand to buy your car from you and offer you a cash lump sum in exchange. 4 convincing points to sell your Lexus to NSW car buyer. Sell your car with confidence to a reputable car buyers. How much will I get for my Lexus? Well at NSW Car Buying Service, we believe a software generated price for your car is not justified. A Lexus car for their owner is not just an object, it’s the first luxury ride and the first family drive, hence while valuing your car we give it a human feeling and assessment. Whether it is a luxury sport SUV like Lexus RX 350, a or a sport sedan like IS300 F the valuation process will be thorough. Once you get in touch with us by entering your car details our car buyers expert will take every aspect of your car into consideration. The year, the model, the mileage, the leather seats, the rims everything. A machine can’t do that, can it? Quick, easy and simple is how you’re going to find selling your Lexus to us. No matter what the model, how old it is or what condition the vehicle is in or how many kilometers you have on the clock we’ll have it. Unlike other car buyers, we’re trustworthy and flexible. The core of everything we do is the customer. We want you to have a great selling experience, so avoid privately selling, sell to us and enjoy the great customer service you’re going to get. To receive a free, no obligation price for your Lexus, please request a quote. If you have any further questions then please contact us on 0401-333-393 for more information about selling a Lexus. This entry was posted in sell my car and tagged car valuation for lexus australia, cash for Lexus car, cash paid for Lexus Sydney, sell my Lexus, Sell My Lexus CT 200h, Sell My Lexus ES 300h, Sell My Lexus GS 350, Sell My Lexus IS 250, Sell My Lexus LS 500, Sell My Lexus LX 570, Sell My Lexus RC, Sell My Lexus RX 350, Selling my Lexus Sydney, Selling Used Lexus for Cash in Campbelltown, Selling Used Lexus for Cash in Paramatta, Selling Used Lexus for Cash in Penrith, Selling Used Lexus for Cash in Sydney east, Selling Used Lexus for Cash in Sydney north, Selling Used Lexus for Cash in Sydney WEST, Selling Used Lexus for Cash New South Wales on November 2, 2018 by Nswcar.